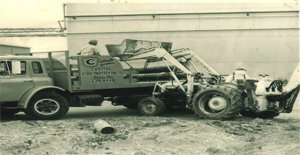 Capital Fire Protection Co. was incorporated in the State of Ohio in June	of 1963, by a group of individuals with an average length of service in	the fire protection industry of approximately 20 years. They used their	experience and knowledge to build Capital Fire into one of the largest	independent fire protection companies in the State of Ohio, competing	against very large national and international companies by providing it’s	customers with quality driven projects. Capital Fire’s sprinkler installation crews belong to Road Sprinkler	Fitters Local 669 of the United Association of Plumbers & Pipefitters. The union has a 5 year apprenticeship program designed to give each member	a quality education on the job and in the classroom through correspondence	courses covering all phases of fire protection rules, regulations, installation	practices, etc. Safety is also very important in an apprentice’s	education and is an established part of Capital Fire Protection Co.’s	culture. Capital has received numerous safety awards through the Builders	Exchange of Central Ohio and in 1997 received the Governors Excellence	Award for safety from Worker’s Compensation. Capital Fire has had	two (2) Craftsmanship awards from the Builders Exchange of Central Ohio	for Grant Hospital Addition (Charlie Mulholand) and Columbus City Center	(Bob Brungarth). Insurance requirements were the driving force for the installation of fire	sprinkler systems at the time of Capital’s founding and Capital	built a solid reputation with the large insurance carriers for providing	a quality product that met the carriers’ high standards for protection	of property. As building codes added fire protection requirements to new	construction and major remodeling projects. Capital Fire saw the need	to maintain a quality design staff to keep up with the changing requirements	and was a strong supporter of the Certification of designers in the fire	protection field. With the establishment of national testing for sprinkler	system design technicians Capital Fire had three (3) of the first 87 nationally	certified as Level III technicians and one (1) of the first eight (8)	nationally certified as a Level IV technician by the National Institute	for Certification of Engineering Technicians (NICET). Over the years Capital Fire has continued to expand on its original product	line of automatic sprinklers, fire protection underground, fire pumps,	standpipes, foam systems and fire hose to now include CO2, dry & wet	chemicals, extinguishers, exit lighting, Halon & alternative gas systems,	detection, fire alarm systems and monitoring. 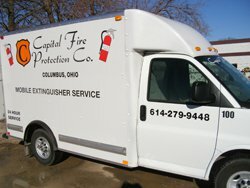 Capital Fire has become	truly a full service fire protection company. It has adapted with the	times and provides many customers with not just new installations, but	modifications to existing systems, retrofits, repairs, emergency services,	and inspections of all types of systems that are required by State and	national authorities. Capital Fire has always been independently owned by its employees and in	1982 established an Employee Stock Ownership Plan (ESOP) to include all	of its employees in the ownership of the company. As the original founders	retired the plan purchased their shares into the ESOP Trust. In 2007 the	company decided to make the ESOP the sole owner of Capital Fire and purchased	all shares held outside the ESOP Trust.The plan works as a retirement	plan for its non-union employees and a profit share for all employees. Capital Fire Protection Co. continues to seek better ways to service its	customers as their full service fire protection systems contractor.